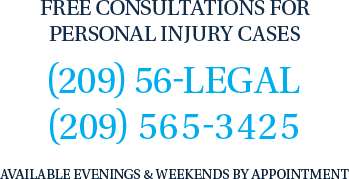 Modesto Assault attorney Tai C. Bogan knows that if you are facing charges for assault it can be very stressful. An experienced assault attorney can help ease your fears and stress. Assault ranges from a simple misdemeanor assault to a felony assault with a firearm. Listed below is an explanation of the various types of assaults that you could be charged with. Simple assault is defined in California Penal Code § 240. Simple assault is a misdemeanor in California. Simple assault is an unlawful attempt coupled with a present ability, to commit a violent injury on the person of another. If convicted of this crime the person convicted can spend up to 6 months in county jail and pay a $1,000 fine. A Simple Assault could be aggravated and the maximum confinement time increases to 1 year in the county jail and a fine of up to $2,000. There are two reasons times when the punishment is increased. (1) Special named victims and (2) Special places. For example assault against a firefighter or peace officer, a custodial officer, military personnel, a school district employee or school district peace officer and a juror can lead to this increased punishment. The location of the assault could bring a similar increase in punishment. For example if the assault occurs on school ground, park property or on public transportation property, the punishment can increase from 6 months to 1 year for a simple battery. Penal Code § 245(a)(1) is a "wobbler" and can be charged as a misdemeanor or a felony. If charged as a misdemeanor the maximum jail sentence that can be imposed is 1 year. If charged as a felony the sentencing triad is 2, 3 or 4 years in custody and a fine up to $10,000 dollars. Deadly weapons are diverse and not just obvious things such as knives. For example things like screwdrivers, hammers, sharpened pencils, brass knuckles, sticks, bats and the like can qualify as deadly weapons under this section. Penal Code § 245(a)(2) is a "wobbler" and can be charged as a misdemeanor or a felony. If charged as a misdemeanor the maximum jail sentence that can be imposed is 1 year. If charged as a felony the sentencing triad is 2, 3 or 4 years in custody and a fine up to $10,000 dollars. The triad can increased for a few reasons. If the gun is both a semi-automatic and the victim is a peace officer or firefighter engaged in their duties, then the triad increases to 5, 7 or 9 years. Penal Code § 245(a)(3) is ONLY a felony and cannot be charged as a misdemeanor. If charged as a felony the sentencing triad is 4, 8 or 12 years in custody and a fine up to $10,000 dollars. However if the named victim is peace officer or firefighter engaged in their duties, then the triad increases to 6, 9 or 12 years. Penal Code § 245(a)(4) is a "wobbler" and can be charged as a misdemeanor or a felony. If charged as a misdemeanor the maximum jail sentence that can be imposed is 1 year. If charged as a felony the sentencing triad is 2, 3 or 4 years in custody and a fine up to $10,000 dollars. However if the named victim is peace officer or firefighter engaged in their duties, then the triad increases to 3, 4 and 5 years.